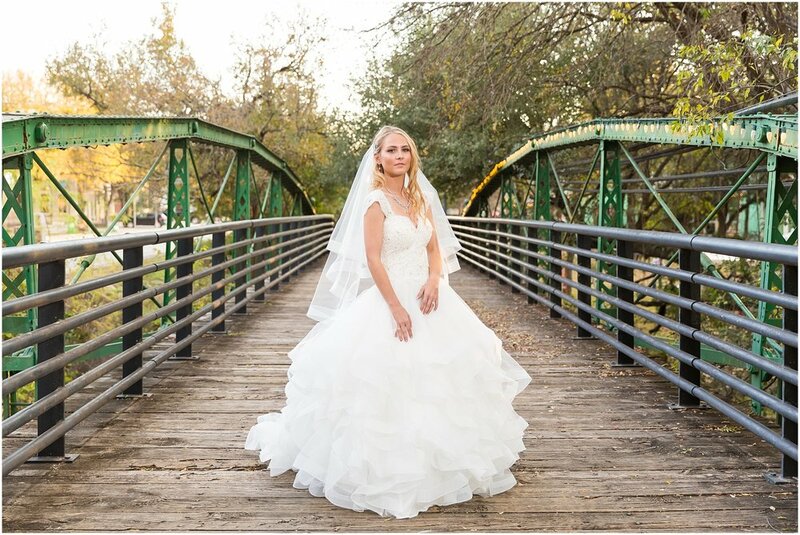 We were starting to wonder if having bridal portraits taken was a dying fad since we hadn’t had a bride request that in a while. But then Samantha came along with her princess dress from JoAnn’s Bridal and said she wanted a portrait session in her gown, and we were so excited! Samantha is a true Disney fan, even having a job as a princess for little girls’ parties! 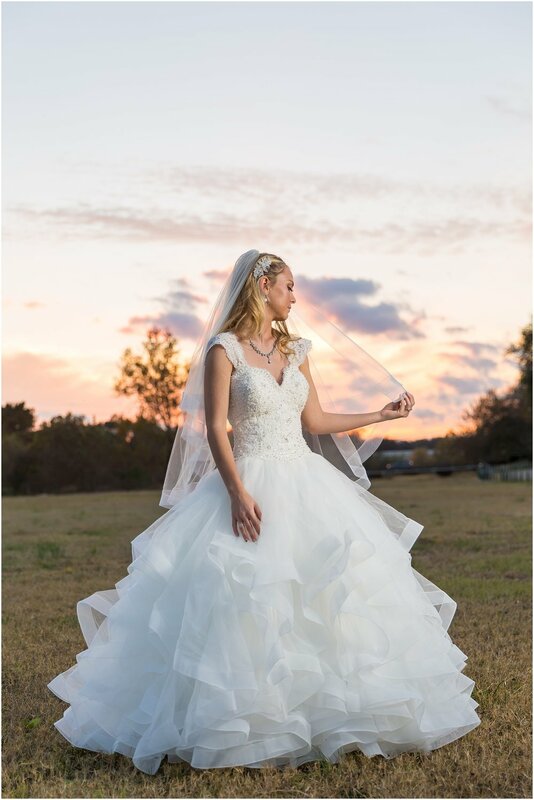 So when we she came out in her dress, with it’s beautiful beaded detail on the bodice and full princess skirt, we immediately thought of Disney princesses. 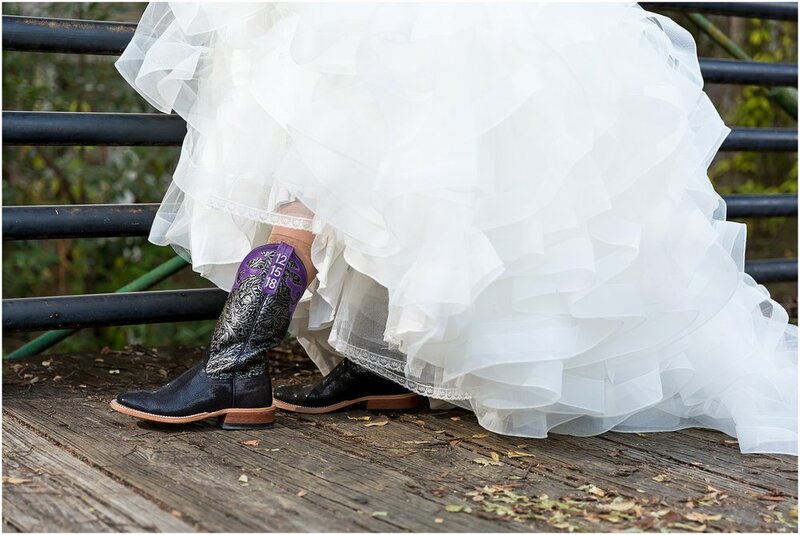 It was almost what we would imagine Belle would wear when she married the Beast! 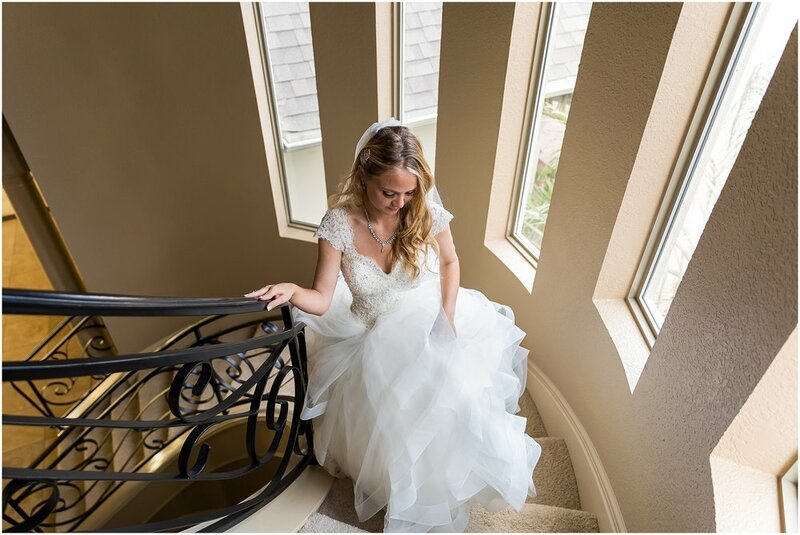 We started our bridal session in a gorgeous private home in Salado, Texas. 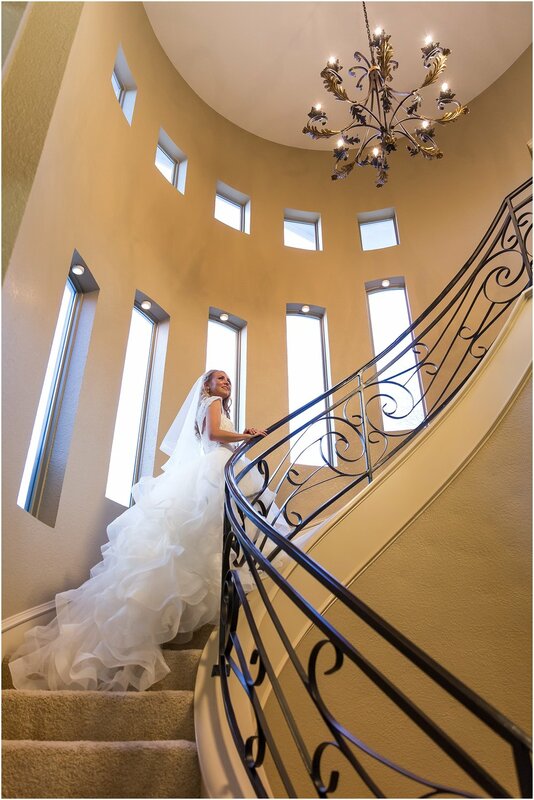 When we walked in and saw the spiral staircase, we knew it would be a perfect spot to showcase such a perfect dress! 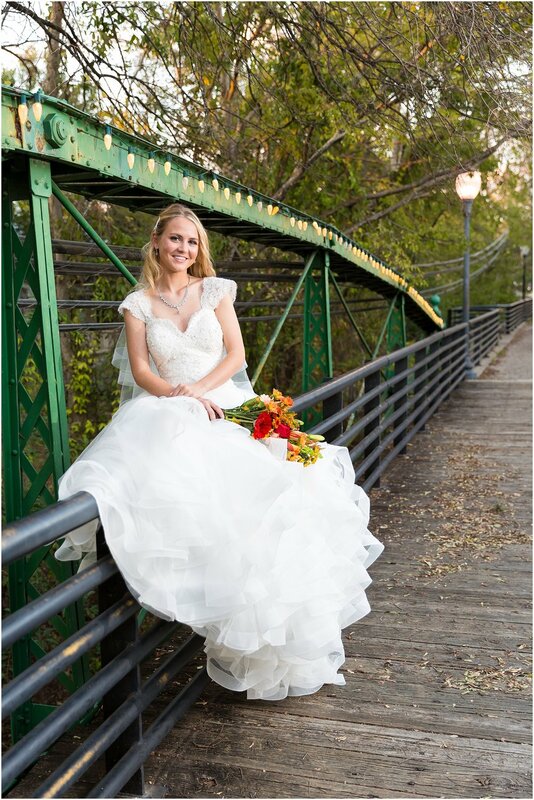 After the home, we made our way down to the famous green bridge in downtown Salado. Samantha wanted to climb up on the railing, and before Jason could make sure it was a clean and safe spot for her, she had already hopped up and made herself comfortable, proving she was as much a cowgirl as a princess. 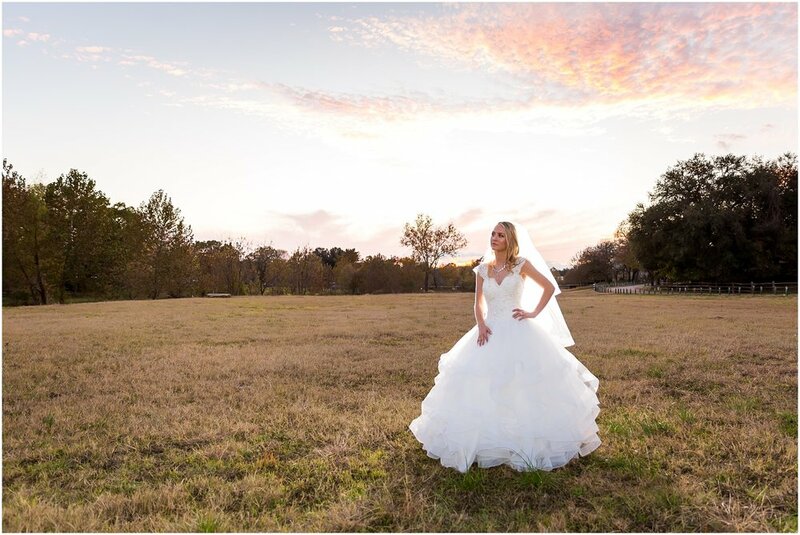 We timed our session just right to end up in this expansive field right at sunset. And while we were in the field, the deer nearby walked past to check out Samantha, making her seem even more like a Disney princess. 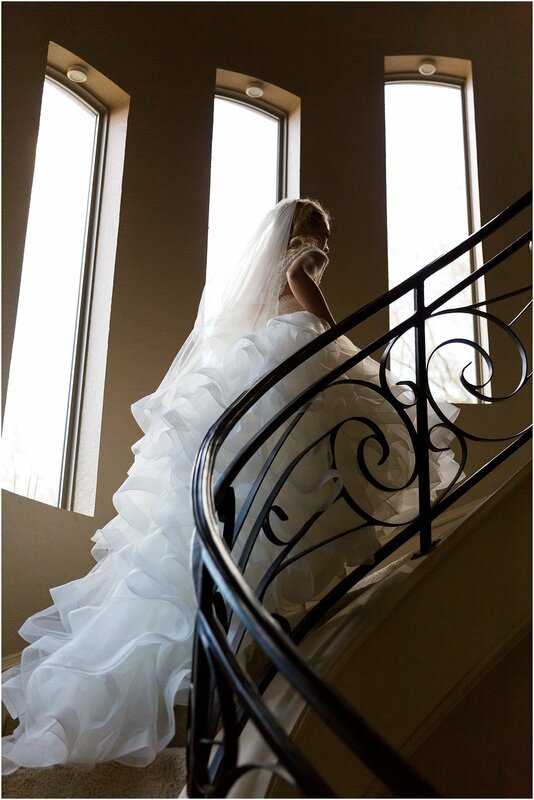 As we look through this session, we are reminded again of how great it is to have bridal portraits taken. We were able to take time with Samantha in her own session, getting her some beautiful heirloom images to treasure. We weren’t rush in the hustle of the wedding day, trying to squeeze in some bridal portraits before the bride walked down the aisle. And now, when Hayden and Samantha’s children see these pictures of Samantha, they’ll see their mama looking like the princess she really is. 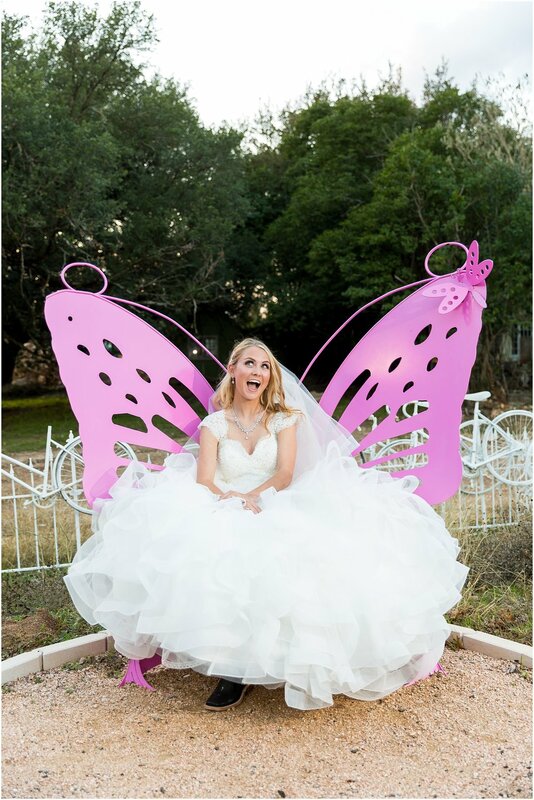 Thank you for restoring our faith in bridal portraits. 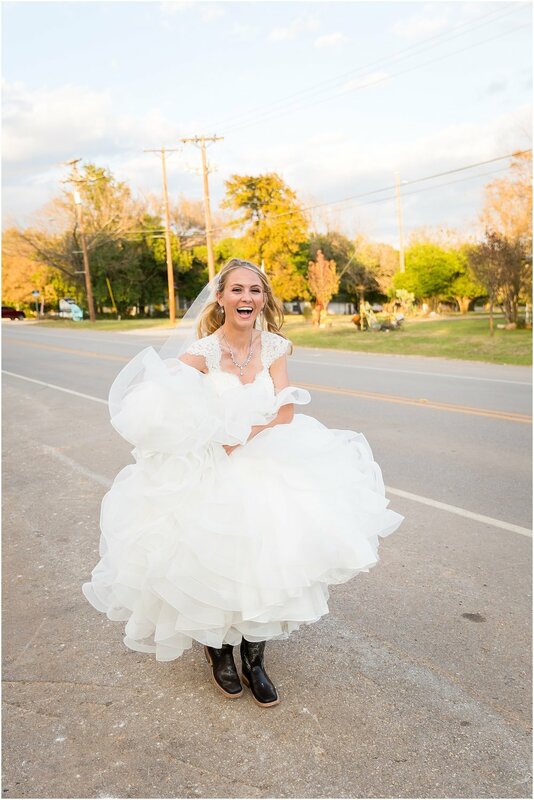 We hope you remember forever how you felt like a beautiful princess in this session. And that every time you see these pictures for years to come you’re reminded of that feeling! Welcome to the J&M Blog! Stay awhile and check out some of the other J&M Sweethearts featured!